This is the norm when it comes to design in Malaysia.Poor designer. She took pains going through 50 shades of gray to find the perfect one. She spent hours deliberating between typography A and typography B, ensuring the spacing is all perfect. You’re stoked – it’s a brilliant work of design art. Until it reaches the website guy and that’s when things go downhill. The design is all wrong; the colour is all wrong; the spacing is all messed up. Why did this happen? Because design isn’t a solo endeavour; it’s teamwork. 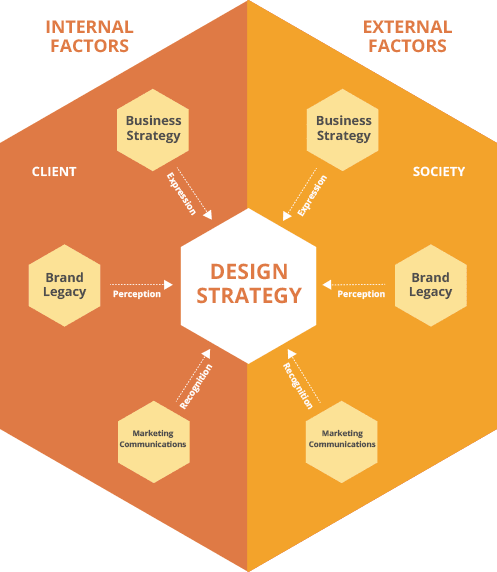 The designer needs to understand what it is like working with a myriad of people, and that is why having an agency that specializes in design in Malaysia is very important. It’s not about coming up with the best work of art; it’s about coming up with the best work of art that is compatible with other disciplines. Designers are not mind-readers. What is beautiful to a designer might not be beautiful to you. How many times have you told a designer, “Can you make this logo bigger?” only to be told that is what was done in the previous draft before you changed your mind? Again! It’s not your fault. A good designer is a good communicator. She needs to tell you upfront (with a mock-up) how things should be, so that when you both go deep into Second Draft, it should hit 95% accuracy. That is why we take great pains to discuss, brainstorm and set expectations with our clients before we even open our software. Truth is, she asks for samples because she cannot read your mind. A good agency would have a creative director to do that. A good creative director sets the right expectation, confirms the general direction with you and helps you figure out what you want. For us, we never expect our clients to know what they want. After all, they didn’t go to design school; we did. It’s our job to guide our clients to figure out what works best. We go through a stringent process of researching, setting goals and challenges, describing the target audience, reviewing competition and helping with the content strategy before we draw the first dot. Think of the Starbucks logo. What is the colour of the logo? You probably said 'green'. But designers in Youmo Studio would be fired immediately if they said 'green' (Correct answer: Pantone® 3425 C). At Youmo Studio, our artists breathe and live colours and illustration. A top agency specializing in design in Malaysia, our designers come from a vast background – from animators to illustrators to artists. Whether it is a sparkling billboard or a minimalist brochure or a complex graffiti, we treat each assignment as if we are painting the next masterpiece. Designing isn't just about having the ability to draw. It is about drawing with an intention; and that intention could only be two things: creating more awareness about your brand or product, or get more sales. For designing is part art and part science. We at Youmo Studio fuss about the exact shade, but more importantly, we care how that design contributes to your bottom line indirectly and directly. Give us a blank canvass and we'll not only create great works of design art; we help you grow your business too. As an industry, design in Malaysia is still at its infancy. But Youmo Studio has been in the forefront of making great works of design art. Just look around you. You might find a couple of works made by us! Working with Youmo Studio is pretty straightforward. Tell us what you need, and we'll make design an actual business strategy. There are 2 faces to every piece of design we do. Is it external or internal? We then decide which of these key metrics we want to achieve via design: expression, perception or recognition. This is done before a single blot of colour is put on the canvass. Perhaps that's why we're known as one of the fussiest agencies in Malaysia.